HDB Ownership After Divorce: What Happens Next? A divorce can be somewhat daunting for any couple particularly those who live in the Housing and Development Board (HDB) flats. While a divorce elsewhere around the world may be straightforward, it may transpose out to be a complicated process as the HDB is one of the most valuable assets owned by a couple. Regardless of the type of flat you own—DBSS, BTO, or EC the rules and regulations still apply. It’s quite imperative that you should inform your divorce lawyer to make necessary queries to the HDB regarding your retention of the flat before filing the divorce. To determine whether the flat should be surrendered, retained, or sold, the process requires specific general procedures and edicts to be followed. Is it a matrimonial asset? According to section 112(10) of the Women’s Charter, a matrimonial asset is an asset owned by the couple while in the marriage, used by their children for various reasons or assets owned by the couple before the marriage but have been substantially improved or renovated during the marriage. If you acquired the flat during the marriage, it is a matrimonial asset. However, if you acquired the flat before marriage, then it’s not a matrimonial asset unless you both used it by living in it or raising children in it or either of you made an improvement on the flat during the marriage. Inherited or gifted flats are considered matrimonial only if they are connected to the above conditions irrespective of whether they were received before or after your marriage. If the flat isn’t matrimonial, it is fully accredited to whoever owns it, and only he or she can decide whether to sell or retain it. If the flat has been considered to be a matrimonial asset, it will further be assessed to find out if it meets the Minimum Occupation Period (MOP). Note that this is the first criteria you must meet before the asset can be sold or transferred to the rightful owner. 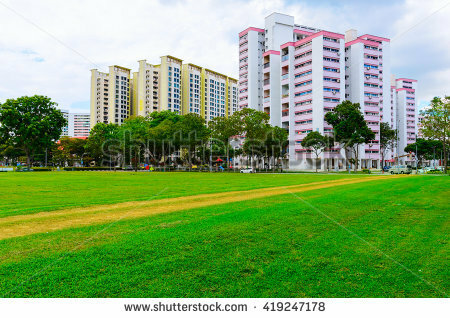 MOP is virtually five years and usually varies from the mode of purchase, the type of public housing, and whether it was purchased with or without the Central Provident Fund (CPF) Housing Grant. Your divorce lawyer should check to establish whether you’re eligible to retain the flat especially if it is matrimonial or not. If it is a matrimonial asset and meets the Minimum Occupation Period (MOP), the court can order spouse to transfer share of the flat to the partner. The MOP conditions require that the flat should have been in use for at least five years for it to qualify for sale or either of the parties to retain the ownership. However, there are various circumstances under which a spouse can retain the HDB ownership including all the mortgage payments if they’re due. If there are children involved: If you are given the custody of the child or children, you can retain the HDB flat. Note that all conditions have to be met—the divorce must not be due to annulment or non-consummation of marriage. Your flat was purchased in an open market without the CPF Housing Grant for family. If the names of any of the party’s parents are named: The party under which the names appear are eligible to retain ownership along with all the relevant financial capabilities as well as related responsibilities. If the divorce is filed in less than five years since you acquired it, it means that your flat has not passed the Minimum Occupancy Period (MOP). In this case, the HDB flat will have to be returned to HDB, which will reimburse you according to the assessed market value of the asset. If the flat has passed the MOP, you may sell it on an open market and divide the proceeds. HDB does not allow for deferred sale after the interregnum judgment for divorce has been made as the family nucleus has already ceased existing. The proceeds will be used to pay off the pending mortgage loan, before compensating CPF the amount used to buy the flat with the accumulated interest. The remaining amount will be then divided between the both of you based on the instructions of the Family Justice Court (FJC). The above factors cannot be exhausted. The court must take all considerations of the case into account and divide the proceeds from the sale of the HDB flat equitably.